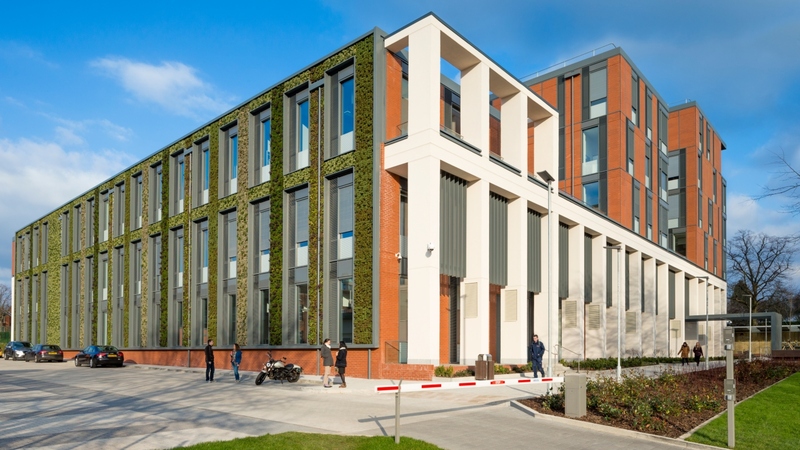 The University of Leicester Centre for Medicine has officially received its Passivhaus certification and is now the UK’s largest Passivhaus building. The £42m centre brings together academics, researchers, clinicians and students who were once spread across multiple university sites across Leicester and is part of the University of Leicester’s strategy to improve and upgrade the facilities used by the School of Medicine. The new Centre for Medicine is an exemplar project in terms of low energy design, and it is expected that the new teaching and research facility will reduce its energy bill by up to six times. “Ramboll is committed to furthering sustainable construction, so we are incredibly proud to play our part in realising the ambitions of the University of Leicester” Tim Stidwill, Project Director for Ramboll, who provided structural engineering, geotechnical engineering, below ground drainage design, and fire engineering services on this landmark project. The Passivhaus philosophy aims to achieve extremely low energy buildings through the implementation of passive design measures, focussing on outstanding levels of thermal insulation and air-tightness. The Passivhaus (fabric first) design approach allowed the project team to deliver an exceptionally energy efficient building, primarily by minimising energy losses through the building fabric. In addition to the fabric first approach, the ventilation system incorporates a large Ground air heat exchanger (GAHE), comprising a 1.6km network of pipes buried beneath the building, through which fresh air is drawn. The GAHE provides free summertime cooling and wintertime heating to the incoming air, further reducing the building’s energy demand. Passivhaus is the leading international low energy, design standard. Over 37,000 buildings have been designed, built and tested to this standard worldwide. The Passivhaus trust aims to promote the principles of Passivhaus as a highly effective way of reducing energy use and carbon emissions from buildings in the UK, as well as providing high standards of comfort and building health. For more information about the Passivhaus trust click here. Northumbria Specialist Emergency Care Hospital is the UK’s first dedicated specialist emergency hospital with senior consultants on duty 24 hours a day, delivering a new model of emergency care for the people of North Teesside and Northumbria.